(28th November, 2016) It is clarified that AlHuda Center of Islamic Banking and Economics (CIBE) is contacted by OneCoin through a UK based organization to provide Shariah certification services to one of the their existing Shariah Compliant product “Coin Safe”. After the carefully review of provided documents, structure, mechanism etc. we provisionally certified one product “Coin Safe” (ONLY) , with some other certain guideline to ensure the Shariah Compliance. We here clarify that AlHuda CIBE did not certified “OneCoin” as Shariah Compliant Company, and OneCoin management has mistakenly issued a Press Release about the Shariah Certification of OneCoin by AlHuda CIBE, which is removed from their website as well. Shariah Certificate is not a document to recommend/suggest to anybody for the investment or business transaction or may utilize for the marketing purposes. Due to the violation of term of certification and non-compliance of the guidelines, AlHuda CIBE also withdraw the certificate of “Coin safe” product as well. 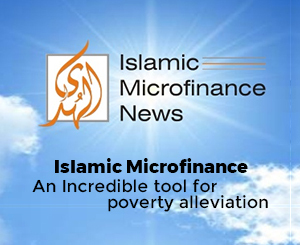 AlHuda CIBE is very much enthusiastic to utilize the concept of Crypto Currency in Microfinance Industry solution for Poverty Alleviation, Social Development and Financial inclusion in Muslim world.